There are two food concessions that operate in Storybook Land, Visitors Center and the Land of Oz. The food concessions operate daily from 10:00 am to 9:00 pm, Memorial Day through Labor Day (the first Monday in September). Hours of operation may vary from August 15 through Labor Day. Check out the gift shop in the Storybook Land Visitor Center. 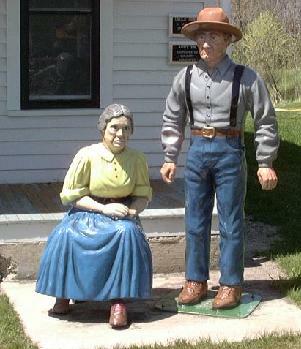 Aunt Em and Uncle Henry greet you when you visit Dorothy's Farmstead. While visiting Dorothy's House, we invite you to walk through the tornado special effects feature which opens into Munchkin Land.